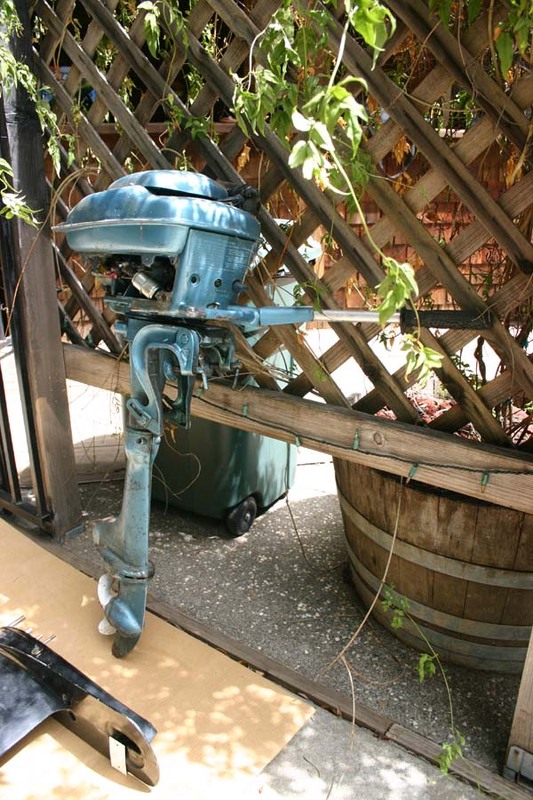 Hey guy’s I need your help in finding some information on this outboard motor. All I’ve found out so far is that it’s a Champion: Blue Ribbon 1946 or 47, 4.2 horsepower. A buddy of mine gave me this motor; it belonged to his dad and probably hasn’t seen the water or ran in the last thirty years. 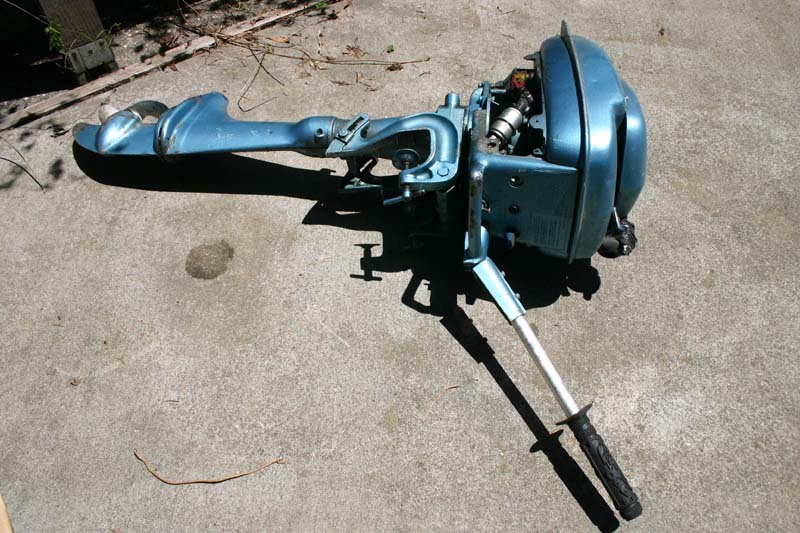 It holds a lot of fond memories for my buddy when he and his dad went out fishing together in their 12 foot tinny using this motor. You know the stories “I remember when” yada, yada, yada but it brought tears to my buddy’s eyes when he gave me the motor. 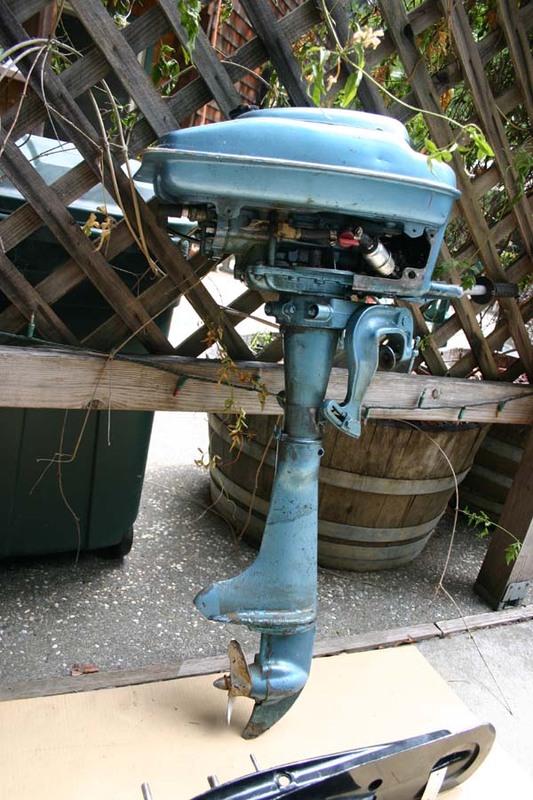 I want to try and restore it if at all possible and hang it off the back of my boat as a kicker motor and get my buddy back out fishing. I want to see his eyes when he hears this motor fire up and push the boat out on the same bay that he use to fish with his dad. The engine still cranks over and seems to have compression but that’s as far as I have gotten other then searching the net for repair info. I put a bid in on a generic Champion manual that I found on Ebay and was hoping some of you could give me a couple of leads as to where I could find more info/parts; which would be of great help. Here’s a couple of pictures I found on the net of a motor that look exactly the same as what I’ve be given. God Bless buddy. I remember those type engines as a kid. Best and may not be much help is Brewer's Marina in Portsmouth, RI I'm not from RI but it is pretty much the last stop for marine anything. It's the "Ocean State" and if you take a look it's the smallest state in the USA but is all boating and yachting. Spent 9 years at that marina and always found every last little thing I ever needed. Owner of many - Jack Brewer who owns or owned many. I was big into boating but that's now a long time ago. For smaller engines New England's biggest lake is Winnepesauki in NH and big into nostalgic boats and things. I defiantly will check that link out re-tired. That lake in NH is some of the priciest real estate in New England .... I think it has about 300miles of shorline and I know its largest basin is 28 miles long! The folks there have owned properties for generations and are wicked into the antique boating stuff of all kinds. Dan can you get any numbers from the motor? If so being that old they probably are engraved on the motor, maybe try the old crayon with some paper to rub the numbers onto the paper. This way we can look for them . #17 is selling a motor. also put your mouse over the links to get their emails.